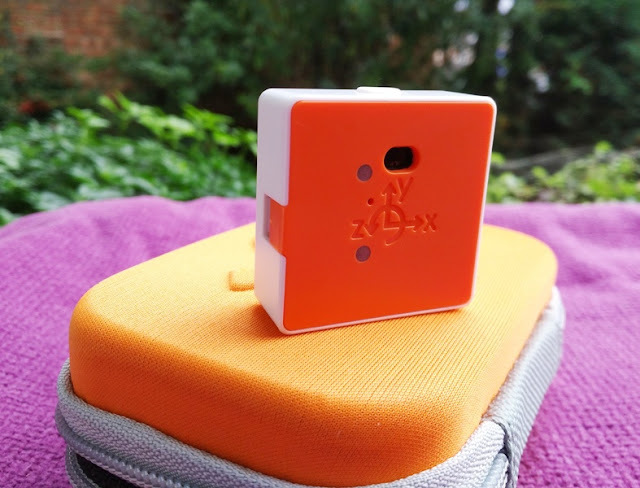 PocketLab Is A Fun Sensor That Sparks Science Creativity! 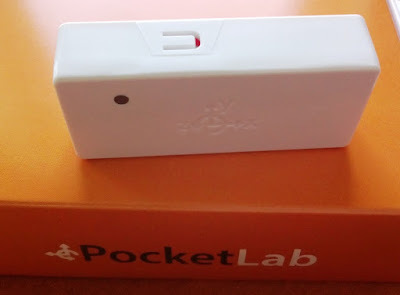 The PocketLab works with Apple iOS devices and Google Chromebook, as well as Android phones and tablets and you connect to it via Bluetooth 4.0. What's cool about the PocketLab is that it works right out of the box and can record multiple sensor measurements simultaneously. No need for calibration or waiting around for data results. The minute the PocketLab is connected to your device, data is displayed and recorded in real time! You can then upload the data to any cloud solution and export it in CSV format. The PocketLab App installation and setup is also straightforward. Go to Apple's App Store or Google Play Store and download The PocketLab app. After installation is complete, go to your wireless settings and enable Bluetooth. Click on the PocketLab icon to launch the app and agree to the access privileges that the PocketLab app needs to function as The PocketLab app needs access to the Bluetooth hardware to connect to the sensor. 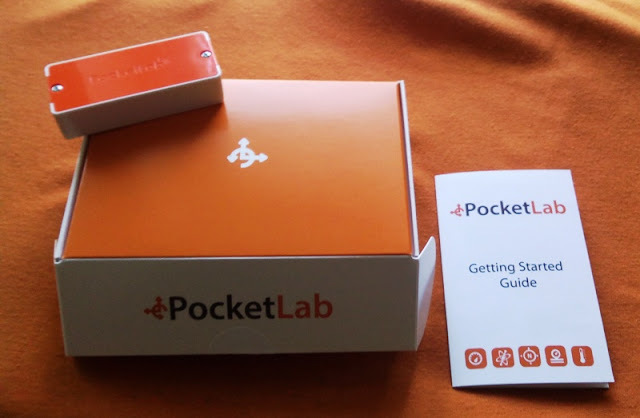 Now, launch the PocketLab App and turn on the PocketLab. Simply press the top button to turn it on and an intermittently flashing red and green LED light will appear telling you the sensor is trying to connect to your device. The serial number of the PocketLab sensor will appear on the connection screen. Tap the PocketLab Icon to connect to the sensor, and while the sensor is connecting to the app, the LED indicator will flash red. If you want, you can also change the PocketLab sensor's name to something easier to remember. To do this, simply tap and hold on PocketLab Icon to rename. To record simply press the Record icon and to stop a recording, you simply press the Stop icon. After you stop recording data, you can scroll through the recorded data by touching the graph and pinching and zooming, and also see this data by pressing the Play button. To delete the recorded data and start recording new data, you press Clear. As you are using the PocketLab to record data, the LED indicator flashes green every 3 seconds while connected to the app. The PocketLab app automatically moves to the graph screen with 3-axis acceleration data, which streams in real-time from the PocketLab sensor. The PocketLab App allows you to choose from several sensor options to make modifications to the data. For instance, you can change the acceleration data by simply rotating the PocketLab sensor and you can display two graph screens simultaneously by clicking on the "Two Graphs" button in the menu. You can also change the units of the data by pressing the Ruler icon, and also change the rate of the sensor data by pressing the Speedometer Gauge icon. To save or export your data, you simply press the Share icon and select export the CSV file, though you can also export the data through the Gmail app, Google Drive or Dropbox. When you are finished saving and exporting the data, press Clear to return to the Data Display mode. To disconnect the sensor, tap the Disconnect Sensor icon on the top right of the screen and press the top button on the PocketLab sensor once to make the LED indicator stop flashing. The PocketLab is fun, easy to easy and has the same features as lab equipment that costs thousands of dollars. The PocketLab has a compact size (about the size of a Panasonic 18650 battery). You can use The PocketLab as an accelerometer to measure acceleration, speed, force and position. As a gyroscope to measure angular velocity and position. As a digital compass and magnetometer to measure magnetic fields. You can also use the PocketLab as an altimeter to measure barometric altitude and the PocketLab will measure temperature in celsius, fahrenheit and kelvin as well. Measures 2.65 inches long,0.65 inches wide and 1.15 inches tall.